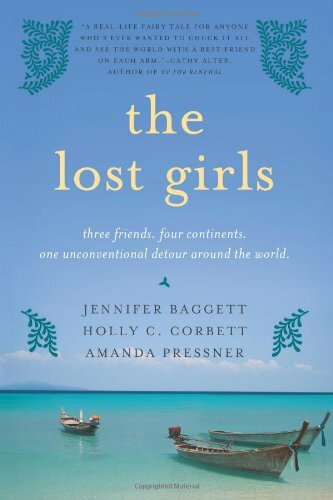 To kick this week off with a bang, I thought I would share with you my review of one of the top five books I’ve read so far this year (and I have read a lot of books, so you know this must be a goodie). 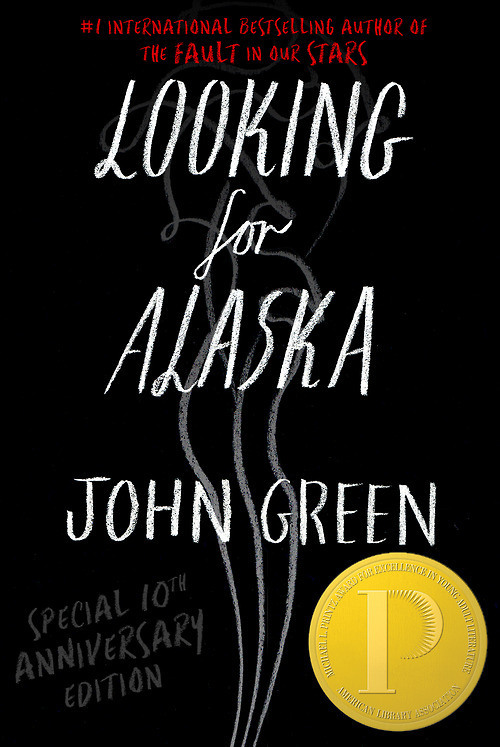 *Warning: This book will make you feel all the feels. 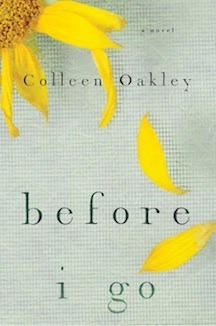 My first reaction to Colleen Oakley’s incredible debut novel, Before I Go: Oh don’t mind me, I’m just over here ugly crying. On the cusp of Daisy’s four year anniversary of being cancer-free, she gets the dreaded call from her doctor: her cancer is back! But this time it not only invades her breast, but has also travel to other parts of her body. Including an orange size tumor that has taken up residence on the back of her brain. If this news isn’t enough to cause a huge blow, her doctor proceeds to inform her that she has approximately four to six months to live. But Daisy doesn’t have time to die. She has too much to do. Including caulk the windows, fix the door that sticks, a laundry list of other household chores … not to mention, her husband Jack needs her. Who will pick up his dirty socks off the floor or scratch his back? Who will pack his lunches and make sure that he doesn’t eat cereal for every meal? And, that’s when it hits her. Daisy will find Jack a replacement wife. And so her search begins. Along with her best friend Kayleigh, she searches coffee shops, dog parks and even places an ad (pretending to be Jack) at an online dating site. She is going to make sure that, before she goes, Jack is sufficiently taken care of. What she didn’t expect was the guilt and jealousy that would come along with it. Could she really handle seeing Jack with another woman? But can she go in peace knowing that he doesn’t have anyone to care for him? Cancer has touched all of our lives at some point. We tend to watch how those afflicted, whether it be a friend or a loved one, navigate through the disease, struggling, fighting and not giving up hope. And we feel incredibly hopeless, knowing that there is nothing we can do but be there and offer our support, our love, our prayers. But what if it was us in that position? If we were the ones to be told we had a limited number of days/months/years left to live? We all have an expiration date. But what if that date was imminently sooner than we had hoped. How would you spend your remaining days? Would you think of others like Daisy did? Or would you live out your last days checking things off your bucket list? Saying that I loved this story doesn’t even begin to touch on how I truly feel about this book. The way the author brings the characters to life with each word that she writes is amazing. There are many books that I’ve read and enjoyed, but it takes a special story and writing style to get the effect that this book had on me. And the way that she takes such a serious topic and perfectly incorporates humor is sheer brilliance. 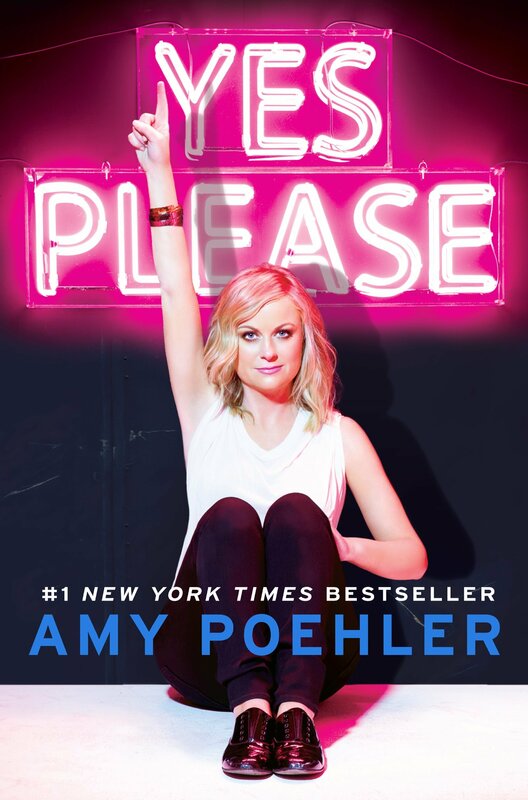 If you’re looking for a book that will make you laugh one minute, cry another, but leave you appreciating life a little more than you did before you started the book, then you must read this book! It begins with Peter, a devoted man of faith, as he is called to the mission of a lifetime, one that takes him galaxies away from his wife, Bea. Peter becomes immersed in the mysteries of an astonishing new environment, overseen by an enigmatic corporation known only as USIC. His work introduces him to a seemingly friendly native population struggling with a dangerous illness and hungry for Peter’s teachings—his Bible is their “book of strange new things.” But Peter is rattled when Bea’s letters from home become increasingly desperate: typhoons and earthquakes are devastating whole countries, and governments are crumbling. Bea’s faith, once the guiding light of their lives, begins to falter. Suddenly, a separation measured by an otherworldly distance, and defined both by one newly discovered world and another in a state of collapse, is threatened by an ever-widening gulf that is much less quantifiable. While Peter is reconciling the needs of his congregation with the desires of his strange employer, Bea is struggling for survival. Their trials lay bare a profound meditation on faith, love tested beyond endurance, and our responsibility to those closest to us. While I was reading this I had a sense of foreboding, which is I partly I guess what kept me reading until the wee hours of the AM, however, that feeling of foreboding was unfounded. I guess I kept looking for some big revelation or some monumental event but it never happened or was too subtle to notice. The characters here are all well thought out and I got to know them as their lives unfolded and that is what also what kept me reading. Peter becomes so absorbed in his teachings to the Oasans that he doesn’t take care of himself or his wife’s feelings of aloneness. I liked that Peter quotes from the bible and preaches; I took it as lessons I hadn’t had before. I wish there had been another few pages to finalize what happens in the end and at close to 500 pages, a few more wouldn’t have hurt. In fact, I think it would have lead to a more satisfying ending. As much as I found this different world and their inhabitants intriguing; I wanted to know more of what was going on with home and the world we know and why. 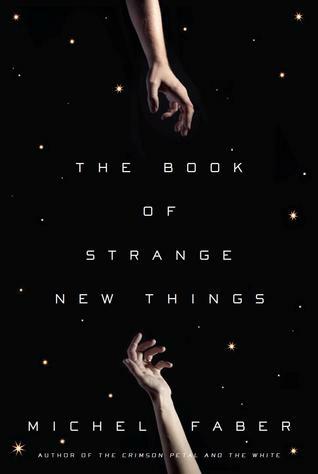 I’m a sucker for great literature but hate untidy endings so after finishing “The Book of Strange New Things” I was a bit conflicted. The prose is beautiful and mundane. It gets inner monologue. Gosh, there is so much! It’s a book about beginnings and endings. But it’s also a book about faith. It’s a book about marriage. But it’s also a book about friendship. It’s a book about redemption. It’s a book about broken people. It’s the beginning and the end. *I received an advanced copy of The Book of Strange New Things from Blogging for Books in exchange for an honest review. Well hello my fellow sugar-fiend friends! Boy do I have a treat for you (pun intended). Now normally, I am not one for cookbooks. I mean, sure, I love looking drooling at the photographs of the delicious food on the pages, but when it comes to actually rolling up my sleeves and using the book for what it actually is there for, to cook things, I’m not such a fan. I’m just not very savvy in the kitchen when it comes to whipping up tonight’s dinner. Now THAT is a whole other jar of cookies. I am the baking master of disaster. I don’t want to brag, but I do make the best chocolate-chip oatmeal cookies in three counties (I’ve got references) and love getting creative with anything having to do with dessert. It doesn’t hurt that I also have the biggest sweet tooth (sweet teeth is more like it) of anyone I know. 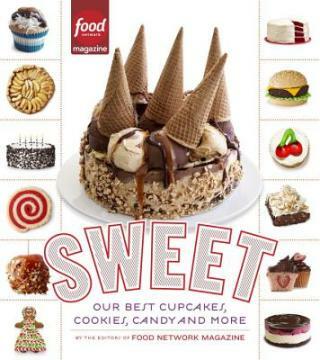 In Sweet: Our Best Cupcakes, Cookies, Candy and More, Food Network Magazine editors have picked their all-time favorite treats and put them into one amazing book. 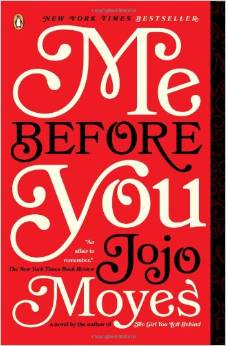 I seriously feel like I gained five pounds just staring at the cover of this book! But as a lover of all things called dessert, I couldn’t help but get it, and I’m so glad I did! This book is made up of various chapters from to die for cupcakes, cookies, whoopie pies, candy, and even to cakes that I swear look like they came from a bakery shop! What I love about this book is that it’s for EVERYBODY, meaning it doesn’t contain ingredients that you have to cross the continent to find. It’s straight forward, self explanatory, and easy to use as well as follow. Each dessert has it’s own picture, another thing to love about this book as I dislike trying new things if I have no idea what it’s supposed to even look like, and the recipe printed on the side in an easy to follow guide. It shows the ingredients first–again, it’s all stuff that can be found in a local grocery store–and from there it tells you exactly how to make the product. This book is also littered with useful tidbits that make it an interesting read as well as pages thrown in that show how to spice up existing snacks like dipping pretzels, chips, and other items in chocolate, or even taking a recipe that they have and adding additional things to it, so one recipe can actually have various tastes. Some of the desserts actually call for store bought cakes (which I thought was a genius idea! Because sometimes, ain’t nobody got time for that!). Unfortunately for my waist line, I will be trying as many of these recipes throughout the fall baking season as possible. I did try out a few recipes already, just something easy and quick (the chewy chocolate chip cookies and the brownie bars), and let me say they were divine! I brought them into work and instantly became everyone’s new BFF. This is definitely a book for any dessert loves, and has tons of recipes that would be cute for kids to get messy and help with too! I give this oh so sweet book a solid 5 stars! 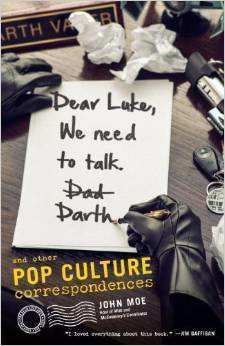 *I received this book for free from Blogging for Books in exchange for my honest review. A Book Review and More Harry Potter?! I’ve got another great page-turner for you today! 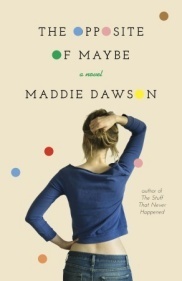 I received The Opposite of Maybe by Maddie Dawson from Blogging For Books in exchange for an honest review and let me tell you all, it was a wonderful read! You know you’re reading a good book when you start having full-blown conversations with the characters. Though the couple originally planned to move together from the east coast to the west, Jonathan heads off on his own (to start a tea cup museum? I wish I could make this up. ), and Rosie stays home to sort out the world of her cantankerous grandmother, Soapie, who raised Rosie after her own mother’s death. Soapie is flirting with memory loss and other issues of the elderly, but still insists on her evening cocktails. a gal after my own heart. She also refuses Rosie’s help in selecting appropriate home health help, instead relying on a young man, with no credentials, no recommendations, and barely a job. So, Rosie moves in to discover the true situation and sort things out. Instead, she discovers that at age 44, with her lover on the other side of the country, and a cast of characters she never anticipated being in her life, she is pregnant. And the rest, as they say, is a good story in the telling. 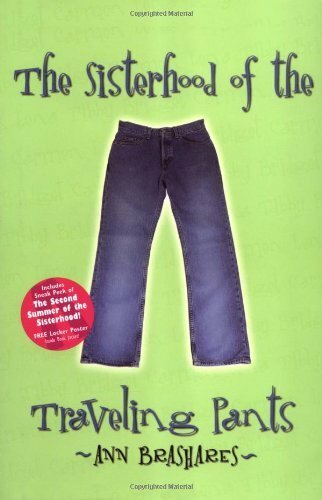 This book was just so sweet and funny. Everything from Tony’s misuse of words and Soapie’s unique outlook on life, to George’s mad dancing skills and Jonathon’s, shall we say, skewed way of thinking. Every bit of it came together to create such a wacky yet beautiful story, one that was full of emotion and unexpected twists and turns. I would give The Opposite of Maybe two giant thumbs up, 4.5 out of 5 stars on the Wendi scale. Speaking of good books, did you hear the news? My girl J.K. Rowling just released another short (emphasis on short) story, a short blob about Celestina Warbeck, a singing sorceress and Molly Weasley’s favorite singer. The character doesn’t appear in any of the seven Harry Potter books, but Rowling says she’s one of her favorite “off-stage” characters. You can read the new story at Pottermore if you’re a member (and if you’re not, then we obviously cannot be friends. Just kidding. But really, what are you waiting for?!) I’ve always wondered if Rowling wouldn’t one day go back to the HP Universe and explore it more in depth. I would love to see more stuff like this, stories about characters in the HP universe that don’t necessarily involve HP! But instead of just a few paragraphs, I would love, love, LOVE a full-on book. J.K. if you’re reading this, it’s time girlfriend. But while we’re all waiting with baited breath for the next HP book, give The Opposite of Maybe a go. I think you’ll really like it. And if not, I will personally send you some of my famous, award-winning (I’ve got references) chocolate chip cookies. And happy hump day! To celebrate only two-ish more days until the weekend graces our presence, I have another book review for you. I received this book from Blogging for Books for free in exchange for an honest review and honest I will be. 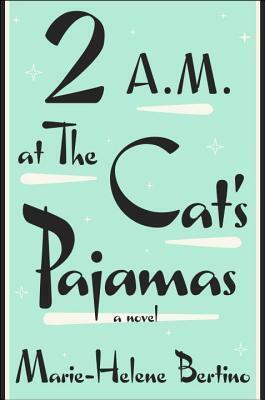 2 A.M. at the Cat’s Pajamas by Marie-Helene Bertino is set in one day—Philadelphia on Christmas Eve—and follows several different characters, including Madeleine, a nine-year-old aspiring jazz singer who recently lost her mother to cancer; Madeleine’s teacher Sarina; The Cat’s Pajamas club owner Lorca and his son Alex, and several others. Madeleine and Sarina are the most engaging by far, and Madeleine’s feisty independence (she could give Johnny Depp a run for his money for her mouth-of-a-sailor antics) made her a fun character to get to know and spend time with. As the book gradually winds all the characters closer and closer together, they all benefit, becoming more important and interesting to the reader. The intertwining and sprawling of the characters coupled with the fact that it took place on Christmas Eve kind of reminded a bit of Love Actually, actually. Unfortunately, I feel like the massive cast works better on film, where you can put a face with a name. It’s kind of a strange book to describe—the story itself is very literal at first, but it becomes fantastical, almost fairy tale-like at unexpected times. This to me felt a little off-putting while I was reading it however now, 12 hours after having finished the book, I think the fantastical elements were a good idea. The entire book feels a little magical, so what’s one more magical thing among the rest? If you’re looking for a new book club read, this would be a fun option. (It’s short and fast enough to not be a burden to club members who drag their toes.) It has plenty to talk about in terms of plot and characterization and there are a few passages in the book that are really, really, delightful and worth marking to come back later and dissect. The best way that I can describe this book is to tell you how I felt after reading it. Did you ever have a childhood movie or book that you would watch or read often? For me, that list was and is very, very, VERY long, ranging in everything from books like A Wrinkle in Time and Harry Potter (naturally) to movies like Field of Dreams and The Teenage Mutant Ninja Turtles. I literally watched everyone’s favorite crime-fighting and pizza loving amphibians so much that I wore out all three of my VHS tapes. Speaking of TMNT, I may or may not be a going to see the new live-action movie which hits theaters this Friday. And I may or may not be way too excited to see it. And I may or may not be embarrassed to admit that, seeing as I am a 27-year-old woman. 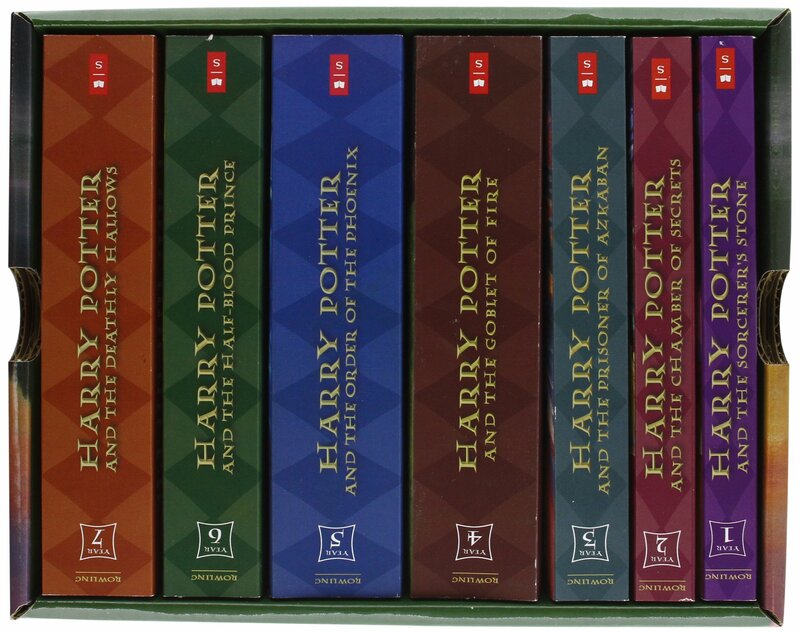 We went/go back to these books and movies over and over again because of the way they made us feel afterwards, leaving us with a warming in our hearts and stomachs, making us believe and feel like everything in the world could be as fun and magical as what we just saw or read. 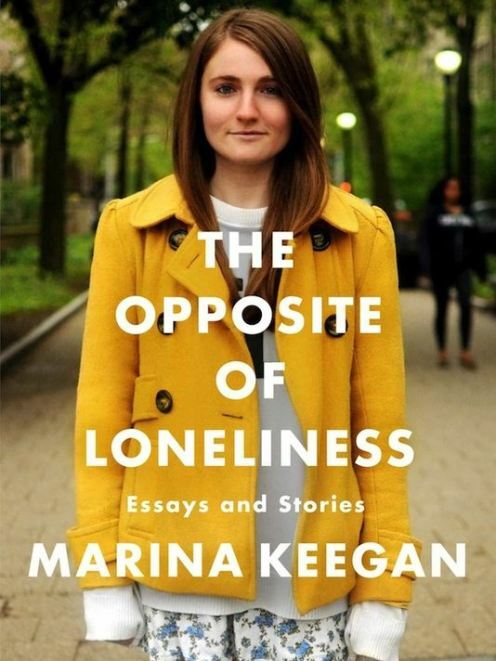 After turning the last page of 2 A.M at the Cat’s Pajamas, I recognized that happy, contented feeling as one I’d had before: It was like the childishly optimistic, happy afterglow that would stick around after a favorite movie or book. I didn’t think 2 A.M was the perfect book; it was kind of hard to get in to at first, the back and forth between characters was confusing at times, and I wish that the concept of how whenever Madeleine would sing, strange and peculiar things would happen would have been explored a bit more. That being said, however, this book did make me smile. 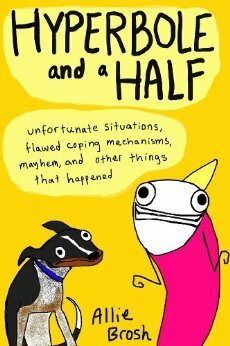 On a scale of 1 to 5 stars, I would give this book a solid 3.5.